The Automated Clearing House option allows payments to be transferred every day directly from your primary bank account to us, without you ever having to worry about making a payment. This payment system designates a fixed monetary amount to be transferred, so it is predictable, and does not depend on how much you make in sales. Unlike the Credit Card Sales payment option, the payback rate doesn’t increase when your sales increase. Capital funding is the money that you receive, whether from a traditional bank loan or merchant cash advance. It is typically defined as money spent on the purchase or improvement of certain business needs, which is what NMC aims to provide you with. Cash flow describes a company’s financial stability, whether in financing, operational expenses, or investment opportunities. It is the total amount of money that is being transferred in and out of your business. This is simply another way of looking at a merchant cash advance, in that it involves the discounted sale of a business’s future credit card sales. 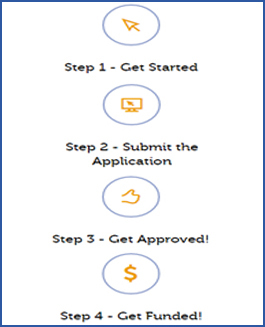 It is not a loan, but rather a small business cash advance that can be obtained quickly and paid seamlessly over time. Payments are made directly from an agreed-upon percentage of your business’s daily credit card sales, eliminating late fees, personal collateral, and the hassle of having to write checks. This is a payment option in which an agreed upon percentage of your daily credit card sales are forwarded back to NMC seamlessly. We work with your credit card processor to make this an automatic process in which we only receive payment as your sales increase. This describes your receipt totals from all of your business transactions. This includes cash, credit card receipts, debit cards, and checks. We use your gross volume along with how much you make in Visa/MasterCard sales per month to help determine how much working capital you qualify for. A Merchant Cash Advance is an alternative to traditional lending methods for small to medium-sized businesses. It is not a loan, but rather an up front cash advance on future credit card sales. Unlike traditional financing, with a merchant cash advance you can get small business working capital quickly and painlessly, which can be spent on any business need. Instead of making payments, a daily percentage is deducted from your credit card sales. Small business loans are generally obtained through banks and other financial institutions. They require a strict application process that requires personal collateral, credit checks, and a longer decision process than merchant cash advance alternatives. Many small businesses have a difficult time receiving approval for small business loans, and it can be a very tiresome, stressful process. With a merchants cash advance from NMC, we can eliminate this stress and hassle and get you the money you need, now. Simply put, small business working capital is current assets minus current liabilities. This comparison is calculated by subtracting short term liabilities from short term assets, and can be a positive or negative number depending on company debt. Negative working capital is a sign of poor cash flow, and both are crucial for a business to succeed.